- Coarse salt. I used Kosher salt because of the large grains. The flavor of Kosher salt also doesn’t overwhelm the potatoes. 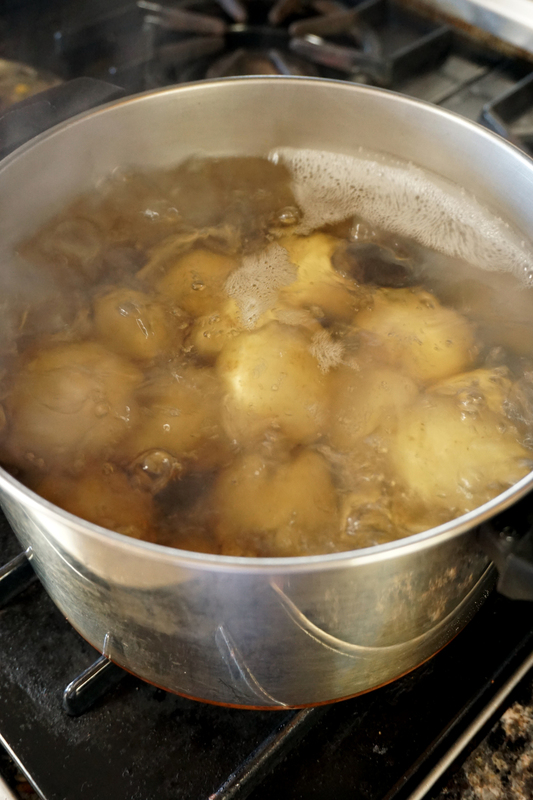 - In a large stock pot, bring potatoes to a boil in salted water. Reduce the heat and allow them to simmer until they’re tender, about 18-20 minutes. - When they are fork tender, remove them from the water and allow them to cool a bit. - On a baking sheet, drizzle a generous amount of good olive oil. This will help them not to stick, as well as help the skin crisp up. 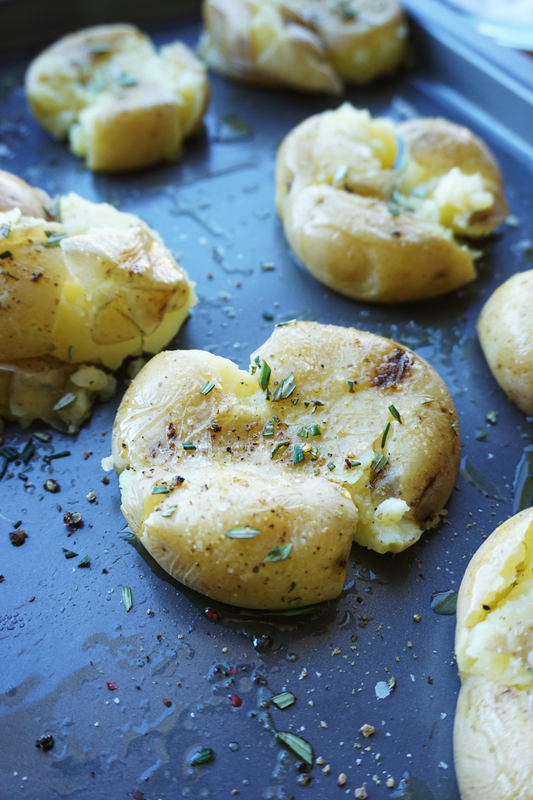 - Place your potatoes on the baking sheet, giving them enough space. If they’re too close, they’ll steam instead of get crispy. Time for smashing! You have a few options here - you can use the heel of your hand, a spatula, back of a large spoon, or even a potato masher to gently smash the potatoes into flat little gems of goodness. 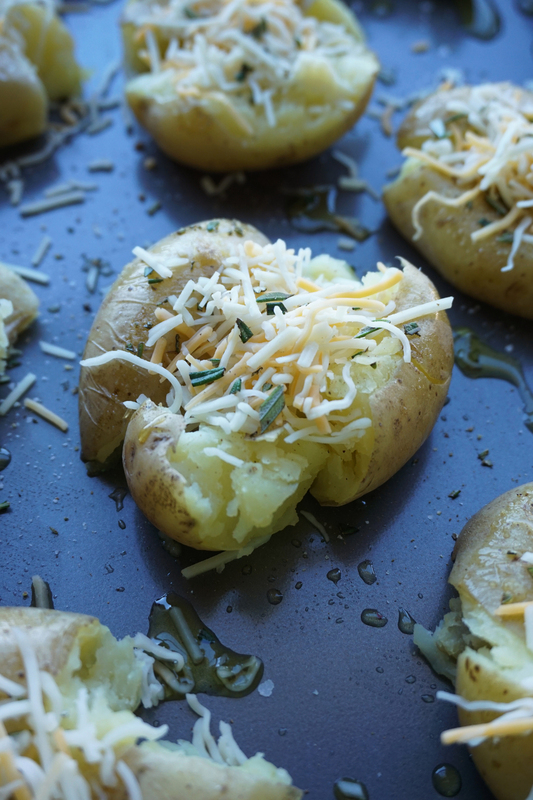 - Brush each potato with olive oil, and season liberally with salt, pepper, herbs, and cheese. Potatoes need a ton of salt so make sure you don’t skimp. - Throw them in the oven for 15 minutes. The skin will get all crispy and golden, the cheese will have melted, and your kitchen will smell amazing. I actually turned on my broiler to get some nice toastiness on the cheese as well. Serve while hot.